Coffee is definitely a big thing in our everyday lives: we love coffee the first thing in the morning as a "pick me up" (who doesn't love the smell of coffee as you're waking up), we love it with dessert, and we love having it in social gatherings. Whether you like Starbucks, Peet's, McDonald's, Dunkin' Donuts, or a simple mom and pop cafe, it's no secret that coffee is big here in America. 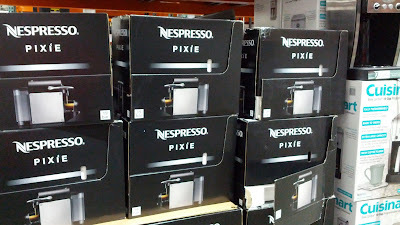 What's great about Nespresso coffee machines is that: (1) convenience: you don't need to make a whole pot of coffee with a traditional coffee maker if you only want a single serving of 1 cup for yourself. (2) versatility: it's great when you're hosting a party or get together and your guests have the option of choosing a particular coffee flavor (ie hazelnut, toasted almond). (3) convenience: making a single cup of coffee is super fast (1-2 minutes). (4) cost: the cost of a single Nespresso capsule is significantly cheaper than a cup of Starbucks coffee. I've found that the Nespressos seem to have better tasting coffees than the Keurig coffee machines also. 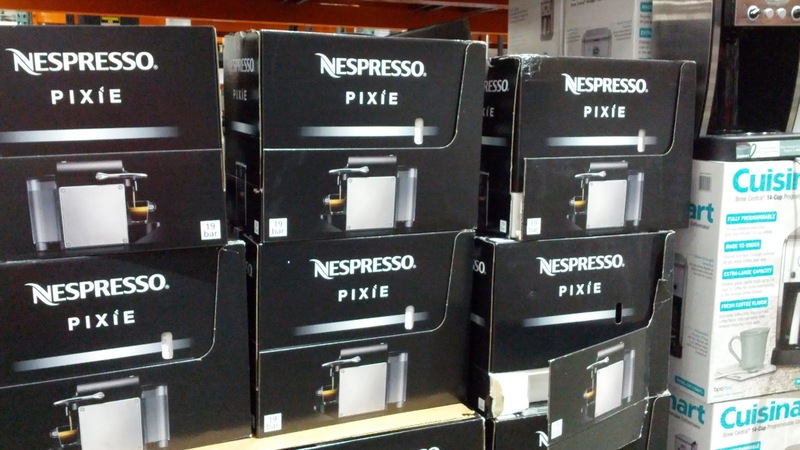 The Nespresso D60 Pixie will replace your old, traditional coffee maker. 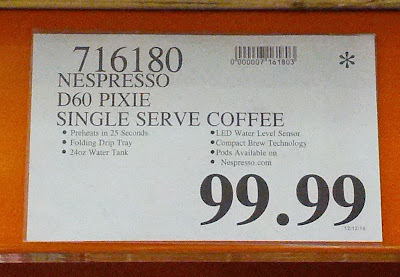 The Nespresso D60 Pixie is a pretty nifty coffee machine for a great price.